Every new business owner begins with a vision of how things will be a few years down the line. What you probably never imagined were piles of paperwork and payroll headaches! It makes sense to handle payroll processing by yourself when you only have a few employees – there isn’t too much to keep track of, and you can easily resolve problems quickly. As your company scales up, what was once a small task can quickly become something that’s not as manageable. You might even have a run in with the IRS if you make a mistake. Feeling helpless? An outside payroll service like Payroll Vault may be just what you need to get back on track. A few hours spent on payroll every week can really add up throughout the year. Whether you’re processing the paperwork yourself or hiring internal staff to do it, you’re in a fight against the clock. There aren’t enough hours in the day for one person to handle the responsibilities of several full-time employees. Payroll tasks are a lot like the backstage of a theatrical production — important, but what really matters is what happens on the main stage. For businesses, your sales and other revenue generating activities should be front and center. As the saying goes, time is money, and that is especially true for business owners. It’s typically more costly to hire an internal accountant or payroll specialist than to outsource the job. When you choose Motl Accounting, you get all the benefits of an in-house accountant, without the added expenses. What that means for your business is that you can call our Motl Accounting office in Dundee, IL at any time and speak to a member of our accounting bookkeeping and payroll team. Someone that is familiar with your account will be available to answer your payroll concerns. It’s a fast, reliable and easy way to handle tasks that could otherwise cause financial headaches. Our Payroll Vault team assists by ensuring you have the right tools in place to save you money. Our systems are used by an amusement park in the Dundee area and Payroll Vault helps them ensure employees are correctly logging in. This, in turn, helps the business save money since payroll is done digitally and not through physical time sheets which are prone to more errors. We all know the feeling of spending extra hours in the office to get things done. Sometimes workplace responsibilities mean that business owners can’t give their friends and family the attention they’d like to give. When this goes on for too long, it can take a toll on a person’s mental wellbeing. Payroll should never get in the way of your personal life. When you start to dread going to work because you know payroll responsibilities are coming up, it’s time to look into outside options. 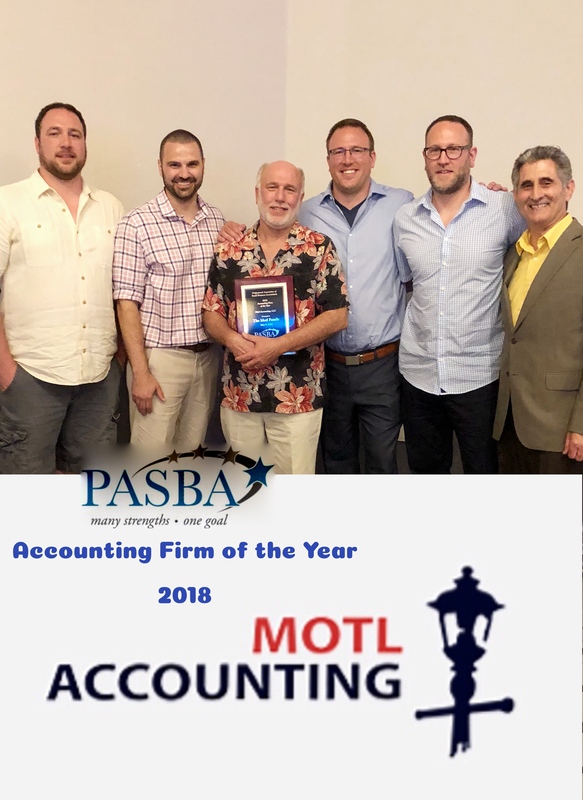 Our co-owner and EA Brent Motl always stresses the fact that we at Motl Accounting and Payroll Vault are in the business of providing peace of mind to our clients. Payroll is a meticulous process with small details you may not have the expertise to handle on your own. Tax tables, regulatory changes, new government forms and withholdings are important pieces of the payroll puzzle. In the past, only large corporations were able to stay on top of every payroll detail. Small and medium sized businesses were often left to fend for themselves and many relied on a costly accountant on staff. Outsourcing your payroll to the Motl Accounting team makes sense — both from a business and common sense perspective. Our team is highly experienced and trained on the ins and outs of payroll processing. Running a business has its perks, but taking care of payroll isn’t one of them. There’s nothing glamorous about devoting your attention to pay stubs, direct deposit or tax forms. So when you feel like your head’s about to explode, allow yourself the luxury of calling Payroll Vault to check all the payroll boxes for you. You will be able to devote more attention to growing your business and the more you grow your business, the more employees there are to handle payroll for. We understand that you don’t take business decisions lightly, so contact Blair Motl and the Payroll team to see how we can help with your payroll. Start growing without unnecessary stress today! We work with businesses all throughout the Chicago area. Regardless of the size of your business, whether you’re a three-person operation, a thirty-employee small business, a company of 200 strong, or even larger, there are certain things you must consider about how you pay your employees. For small businesses especially, the conundrum may lie between paying your employees yourself and utilizing an outsourced payroll service. If you happen to be well versed in payroll tax laws, and have an in-depth understanding of accounting, dealing with your business’s payroll may not be such a big deal – but for those of us who are not up-to-speed on the ever-changing myriad of tax policies, a payroll service might be the better option.